Just as the names sounds, you’ll be in a relaxed environment escaping from your daily worries and feeling revived at the end of your workout. Flowing with positive energy. 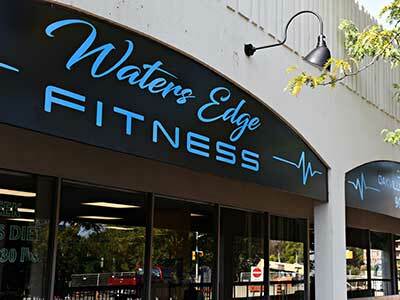 At Waters Edge Fitness we provide an environment that is friendly and comfortable. We have an experienced personal training team available to help guide you toward your personal health goals. With caring passionate fitness professionals, your success is our priority! Mark has been in the fitness industry in Canada for over 20 years in both hands on and Senior Management roles. Mark is an award winning Fitness “guru” who has been called upon to provide Fitness Consulting throughout North America. 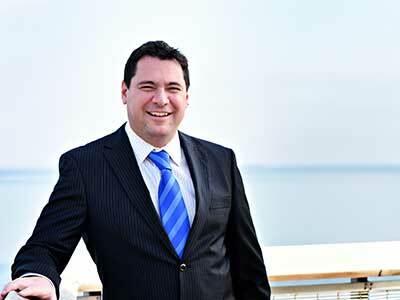 Mark believes that people should never limit themselves in terms of what they are capable of achieving. With the committed support of the Waters Edge team, your fitness goals are achievable. Let us ignite your passion to be the best you can be! Life is too short to live without the edge to succeed. We utilize state of the art Nautilus equipment. Nautilus is the gold standard in fitness and widely considered the founding equipment of the modern gym.This equipment is excellent for all ages. This location has been keeping south Oakville healthy and fit for over 30 years. We have a loyal following of wonderful people, some having been at the club for over 20 years.